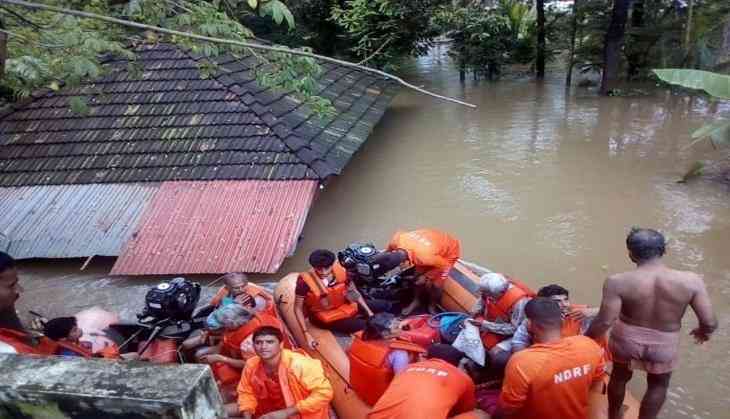 The Centre on Thursday clarified that Rs.600 crore released for tackling the flood situation in Kerala was only an advance assistance, and additional funds would be released from the National Disaster Response Fund (NDRF)on assessment of the damages in the flood-hit state as per laid down procedure. The Centre, in a press release, stated that during the recent floods in Kerala, it provided urgent aid and relief material to Karnataka and the situation was being regularly monitored by Prime Minister Narendra Modi on daily basis. Financial Mechanism to meet the rescue and relief expenditure during any notified disaster event was governed by notified guidelines on the State Disaster Response Fund (SDRF) and NDRF. State Disaster Response Fund has been constituted in each State in which Centre contributes 75 per cent for the General Category States and 90 per cent for the Special Category States of hilly regions every year as per the award of the successive Finance Commissions. As per the guidelines, Central Government provides its allocation to SDRF of each State in advance in two installments. In case of any natural calamity, State meets the expenditure of relief and rescue from the SDRF already available at its disposal. In case of any natural calamity beyond the coping capacity of a State, the concerned State Government submits a detailed memorandum indicating the sector-wise details of damages and requirement of funds for relief operations of immediate nature. The Centre launched massive rescue and relief operations. In one of the largest rescue operations, 40 helicopters, 31 aircraft, 182 teams for rescue, 18 Medical Teams of Defence forces, 58 teams of NDRF, 7 companies of CAPFs were pressed into service along with over 500 boats and necessary rescue equipment. They successfully saved over 60,000 human lives by rescuing them from marooned areas and shifting them to relief camps. Defence aircrafts and helicopters have made 1,084 sorties of duration 1,168 flying hours and airlifted 1,286 ton of load and carried 3,332 rescuers. In addition, a number of Navy and Coast Guard ships were pressed into service to carry relief material to Kerala. The search and rescue operations and mobilisation of resources alone would cost the Central Government hundreds of crore of rupees.